Basilosaurus was a type of extinct cetacean (this is the group containing whales, dolphins and porpoises). It lived between about 40 and 34 million years ago, and is immediately recognizable by its elongated serpent-like body which grew up to 60 feet (18 meters) in length. Basilosaurus had a number of unusual features. These included vestigial but greatly reduced hind limbs (probably not useful for propelling the animal, but possibly used as a guide during mating), highly elongated vertebrae (similar to snakes), and a skeletal anatomy which suggests it may have moved an eel-like fashion. Unlike modern whales and dolphins, Basilosaurus did not have a melon organ (which modern cetaceans use for echolocation), and was probably also incapable of deep diving. Fossils of Basilosaurus were first found in Louisana, but since then additional fossils have been found not only in the United States, but also in Egypt and Pakistan. The story of the discovery of Basilosaurus is an interesting one. During the 19th century, Fossils of the animal were apparently very common in Alabama and Louisana, so much so, that local people used the bones to make furniture! However, some fossils were sent to the American Philosophical Society, and were eventually examined by Doctor Richard Harlan. Harlan examined the specimens and believed they were reptilian, and name the creature "Basilosaurus" which means "King lizard" or "King reptile". Later however, other material was examined by Sir Richard Owen, who determined that the animal was in fact a mammal. 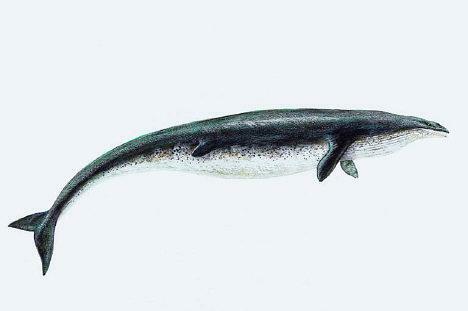 Owen suggested renaming the animal as Zeuglodon cetoides, however as the first published name takes precedence, the name Basilosaurus is still used today. Today, Basilosaurus cetoides (the species whose fossils are found in the United States) is the State Fossil of Alabama and Mississippi. Although, the last known fossil of Basilosaurus dates back to around 34 million years ago, some cryptozoologists (people who search for rumored or mythical animals, whose actual existence is uncertain) have suggested that some alleged sightings of giant sea serpents and sea monsters could in fact be sightings of living Basilosaurus or a modern living relative. John Charles Beecham's pulpy tale of prehistoric fiction comes illustrated to the Kindle. While working for the United States geodetic survey, paleontologist Bruce Dayton meets with a half-mad individual by the name of Eugene Scott, who has lived for years in a hidden cave. The old man has chosen this hermit existence to devote himself to the study of evolution. He claims to know how to send a mind back through the ages—even to the first forms of life—and asks young Dayton’s permission to dispatch him upon that amazing journey. The young man humors the old fellow and, in a fever, falls asleep. In a bewildering daze, Dayton suddenly finds himself living in the trees as an australopithecine named Aka, the Sentinel. So begins his wild journey through humanity’s dawn, inventing tools, battling cave bears, surviving conflicts between titanic sea monsters, and challenging his tribe’s brutish chief. As his adventure continues, Dayton begins to wonder: Can he can hold on to his human mind while living the life of an animal, or will his last vestiges of reason and imagination smother under the instincts of the ape? Relive the wonder of Sea Monsters, National Geographic's 3-D Large Format Film, and learn more about these weird prehistoric creatures of the deep. Here's the Official Children's Companion Book to the giant-screen film which launches in October on giant screens nationwide. Sea Monsters leads kids into the Late Cretaceous Era, 80 million years ago. Stunning images of giant sharks, enormous squids, massive marine reptiles, and flying creatures with razor-sharp teeth will thrill young imaginations. Follow the story of a marine reptile called Dolichorhynchops—Dolly for short—as she braves the dangers of her inland sea home. Enjoy the cool digitally generated images of creatures like Tylosaurus, a whale-size predator, and the long-necked Styxosaurus. The brief text will engage young readers in a fun, unthreatening way. Sea Monsters is a wild and informative read for all who have or haven't yet seen this wonderful movie. Zoll langen Wirbel, ungemein häufig seyen, dass der Richter Creagh, auf dessen Grundstück auch dies ganze Skelet gefunden wurde, vor 20 Jahren, als er hierher kam, zahlreiche Gebeine*dicht über seine und seiner Nachbarn Felder ausgestreut fand, und Harlan erwähnt, wenn ich nicht irre beim wi derholten Abdruck seiner Beschreibungen in den medical 'and physic. Researches, dass man fast in jeder Negerhütte 3 solcher 18 Zoll langer Wirbel senkrecht neben einander gestellt auf dem Feuer heerde finde, um sie als Stütze für den Kochtopf zu benutzen. Hieraus lässt sich wohl die Menge derselben, aber auch ihr schneller Verbrauch zur Genüge erkennen. Memoir on the fossil genus Basilosaurus : with a notice of specimens from the Eocene green sand of South Carolina. 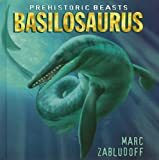 This book, "On the fossil genus Basilosaurus, Harlan, Zeuglodon, Owen with a notice of specimens from the Eocene green sand of South Carolina. 1", by Robert W. Gibbes, is a replication of a book originally published before 1847. It has been restored by human beings, page by page, so that you may enjoy it in a form as close to the original as possible. This book was created using print-on-demand technology. Thank you for supporting classic literature. 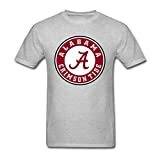 Reder Alabama T-shirt.Art Heat Press Print On Front. Wash Inside Out In Cold Water,Hand Dry Recommended.